Containing oligopeptides, this active gloss reshapes lips within a few weeks by giving them fullness, texture and gloss. HYDROGENATED POLYDECENE, RICINUS COMMUNIS (CASTOR) SEED OIL, HYDROGENATED POLYISOBUTENE, ETHYLENE/PROPYLENE COPOLYMER, ETHYLHEXYL PALMITATE, TRIBEHENIN, TOCOPHERYL ACETATE, PARFUM (FRAGRANCE), SORBITAN ISOSTEARATE, PALMITOYL OLIGOPEPTIDE, CI 77891 (TITANIUM DIOXIDE), CI 47005 (D&C YELLOW N°10), CI 45410 (D&C RED N°28), CI 77491(IRON OXIDES), LIMONENE, LINALOOL, AMYL CINNAMAL, CITRAL, GERANIOL, HYDROXYCITRONELLAL. 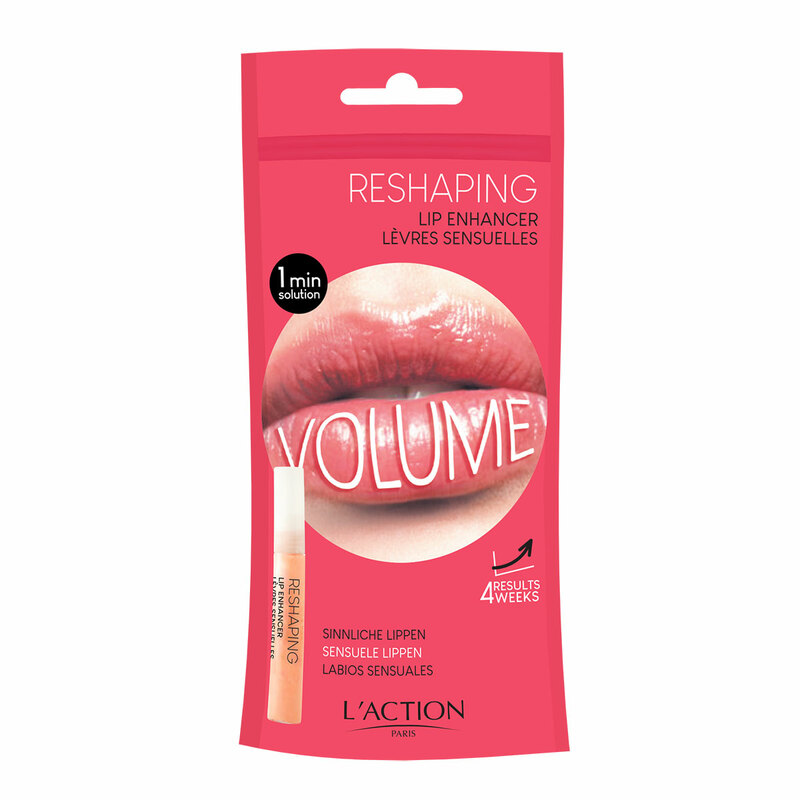 Apply on its own to the lips for 4 weeks, for a natural look, or over you lipstick for a glossy finish. Avoid contact with eyes.